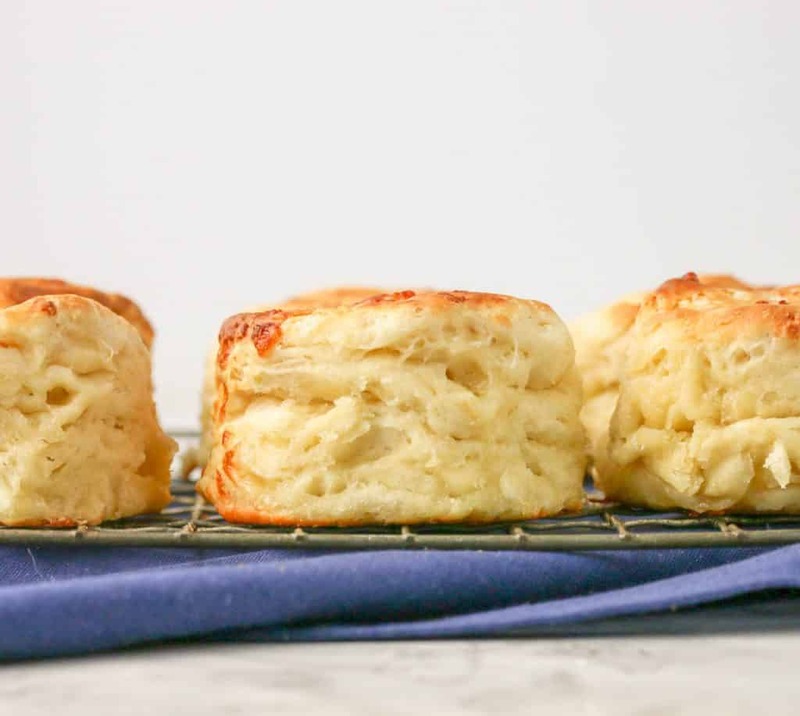 Learn how to make these easy self-rising flour biscuits! I added some shredded cheddar cheese to them to take them over the top! 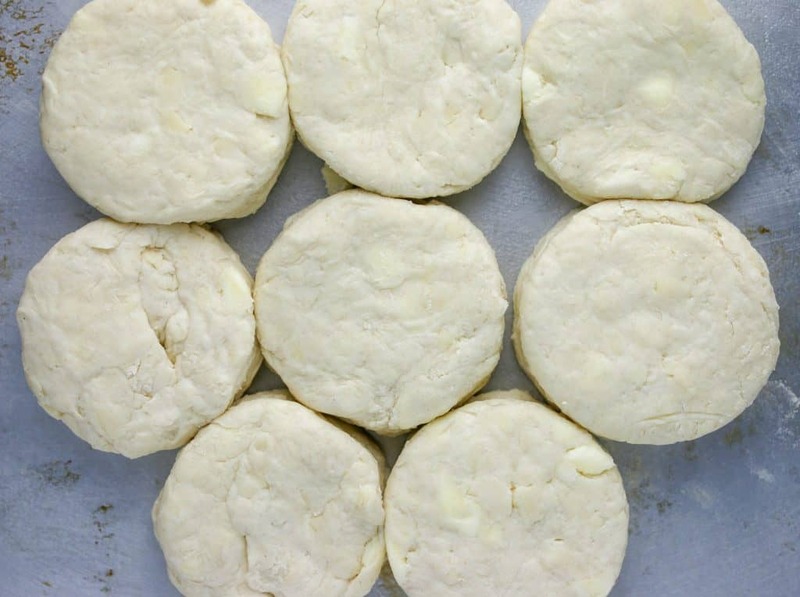 3 ingredient biscuit recipe…yes you can rock out fluffy homemade biscuits from scratch in minutes. Let me tell you these homemade biscuits with self rising flour made me a convert to using self-rising flour. Last year when visiting Nashville I took a biscuit making class from an Emmy winning chef who wrote a documentary on the history of the Southern biscuit. Yes Emmy winning. Let’s just say I was in sitting there in awe. So while she taught us how to make biscuits, she also taught some of the secrets of what makes southern biscuits better than all the rest. And one of those is secrets is the flour. Self-rising flour. Now I’ll admit before that I just though self-rising flour was a shortcut in the kitchen since it has the leavening and salt added. I’ve made buttermilk biscuits before with all purpose flour. Could it be that much different? Oh yes it makes a huge difference. But it’s so much more than that! Just 3 ingredients (ok 4 if you count the fact that I added cheddar but that’s optional) is all you need. Yes a 3 ingredient biscuit recipe. When it comes to homemade bread recipes, nothing is better then these homemade biscuits with self rising flour. Well only better if you brush them with melted butter before consuming. Self-rising flour is a staple in England and in most southern recipes. Self-rising flour is as it sounds a flour that will rise on its own. No it’s magic. It contains a leavening agent! And salt. Once you have tried using it in a recipe, you will love it. I promise. But that’s not all. All purpose flour is a bit of higher protein content than self-rising flour. Which is why Southerners swear by using self-rising flour in their biscuits. If you don’t have any you can make your own self-rising flour. 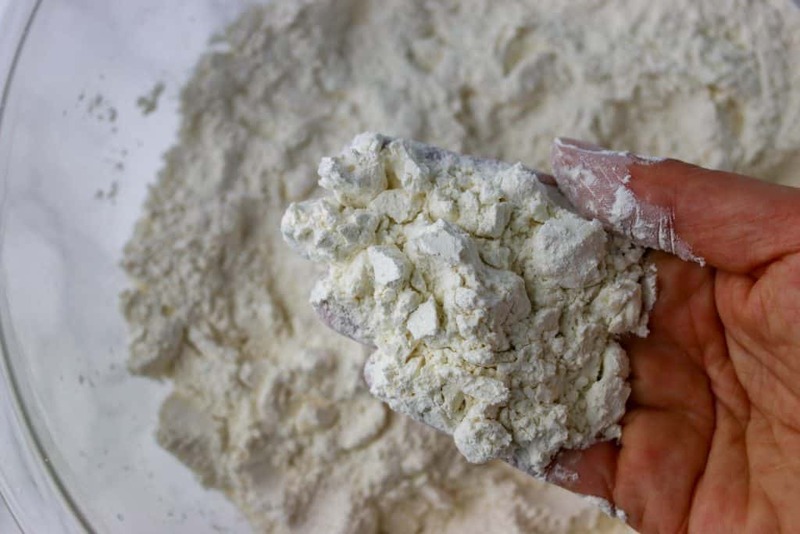 Click here to learn how to make self-rising flour. But just keep in mind that this means that your DIY self-rising flour may not produce quite a tender of a baked good then if you were to use store-bought. But hey if you’re making some one biscuits, I doubt they are going to be mad at you! 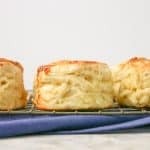 How Do You Make Self Rising Flour Biscuits? Make these self rising flour biscuits is super easy to make. Here is the quick breakdown of the steps before we jump into the step by step photos. Lightly grease cookie sheet with shortening or cooking spray. Add milk (and cheese if you are adding it! ); stir with fork until soft dough forms and mixture begins to pull away from sides of bowl. On lightly floured surface, knead dough just until smooth. Roll out dough to 1/2-inch thickness. Cut with floured 2-inch round cutter. Place biscuits with sides touching on cookie sheet. You want to start by pre-heating your oven and getting your cookie sheets ready by giving them a spray with cooking spray. Do not skip doing this! You want a super hot oven ready when your biscuits are ready to be put in. Then in a mixing bowl measure out your self-rising flour in a large bowl. Add in your cold butter or shortening. 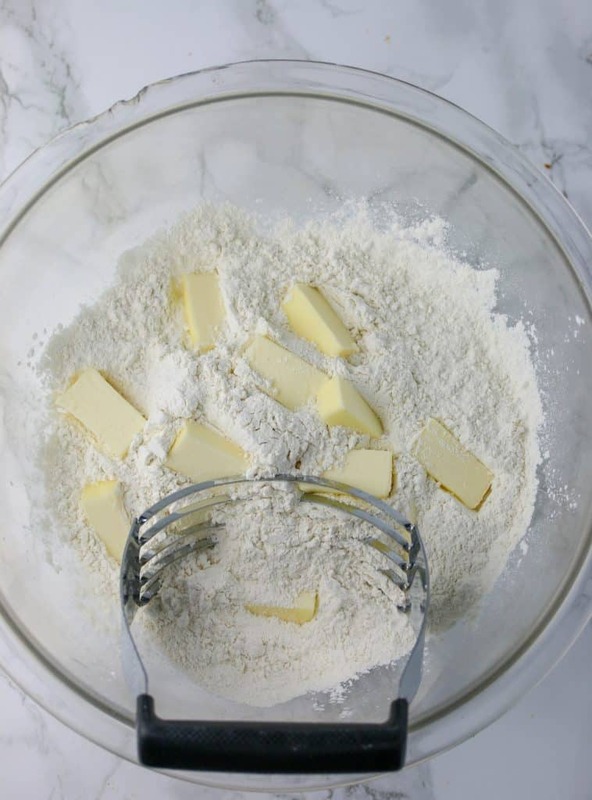 Pro Tip: Use a pastry cutter to cut the butter into the flour. This will keep your hands out of the way from warming up the butter. Step 2: Cut the cold butter until it is in small pea-sized clumps. You want some butter left unincorporated into the flour. You want the mixture to resemble coarse crumbs. This helps to create the flaky layers when the butter melts in the oven it will push apart the flour layers. I also used reduced fat milk because that is what I had on hand. Whole milk will provide more fat, but use what you have! Step 4: Stir until a shaggy biscuit dough comes together. It won’t quite look like biscuit dough at this point but that’s ok. We still need to knead the dough for a few seconds. So shaggy = good! 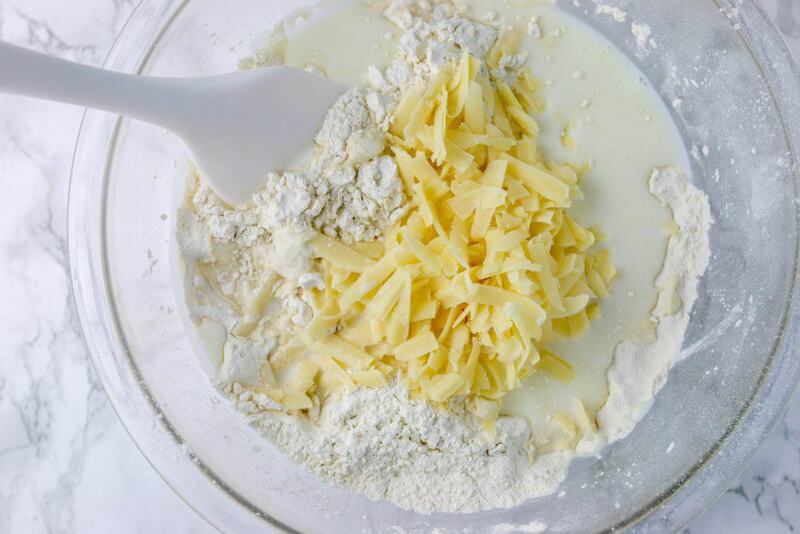 Place the dough onto a lightly floured surface, knead the dough a few times to bring it all together. Just simply flatten the dough and fold in half. Repeat this a few more times. Step 6: Cut out your self rising flour biscuits. Pat or roll out dough into a 1/2 inch thick circle. Cut out rounds of biscuit dough using a biscuit cutter. Push the scraps together and repeat cutting out the biscuits with the rest of the dough. Pro Tip: Do not twist the biscuit cutter when cutting out the biscuits. Otherwise your biscuits will come out lopsided. Step 7: Bake Your Biscuits Until Golden Brown. Place the biscuits together on a baking sheet. You want them touching so they help each other climb and create tall fluffy biscuits. If you do want crispier edges, then simply separate the biscuits. 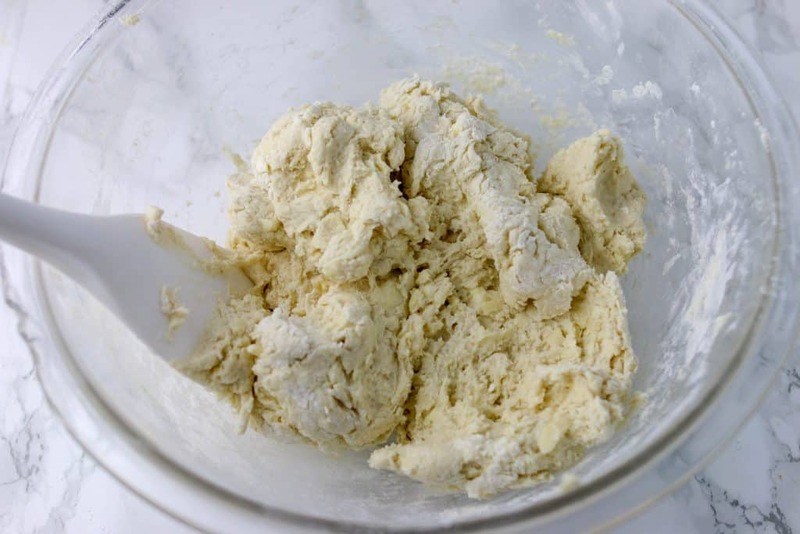 You could make your own self-rising flour if you don’t have any! Just be aware that this may affect the overall texture due to the difference in protein content. Make sure your butter is COLD! You want cold butter so it doesn’t get incorporated into the flour leaving pockets of butter that will melt in the oven and create flaky layers. Be careful to not overknead. I knead a total of about 3 times to bring the dough together and help create layers. Do not twist the cutter. To cut the biscuits you want to push the biscuit cutter straight down and pick straight up. This will create lopsided biscuits. Handle the dough as little as possible. Do not handle the dough too much, especially when using the scraps. Place the biscuits close together. For tall fluffy homemade biscuits, place the biscuits together touching on the baking sheet. For crispier edges, then place them a couple inches apart. Should You Sift Flour For Biscuits? I’m sure some recipes call for it. But I have made these a few times and never sifted. So skip the headache of sifting and just make sure you measure the flour correctly. Can You Substitute Butter For Shortening In Biscuits? I used butter in my biscuits because I like the flavor. You can use shortening as well if you want. But it doesn’t have the flavor. You could do a 1:1 swap if you want to though! Are Biscuits Better With Butter Or Shortening? Hands down butter, baby. It’s all flavor. But that’s my preference. 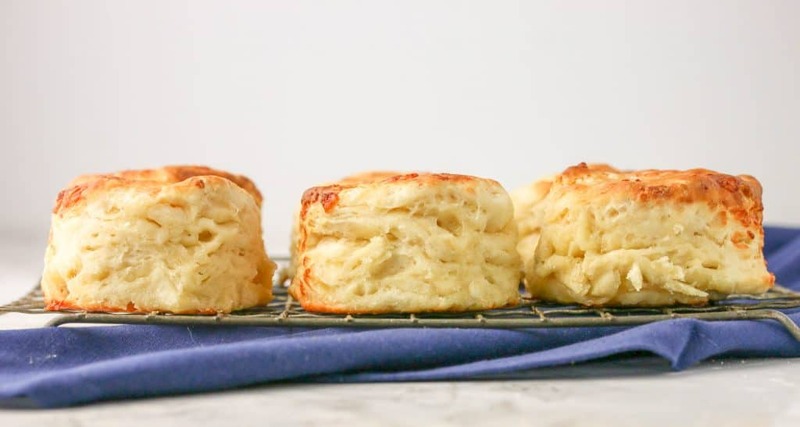 However, shortening is definitely see in Southern biscuits recipes, plus it has a higher melting point so it won’t incorporate into the flour mixture like butter will so you might have better success with it! Why Are My Biscuits Crumbly? The dough should be crumbly at first. You want pieces of butter that don’t work into the flour. That water in the butter in the oven will turn to steam and push apart the layers of flour. If you find that it’s still quite crumbly when you try to bring the dough together and knead it. then just add a bit more milk. What Happens If You Over Knead Biscuit Dough? Kneading dough will activate the gluten in the flour. And gluten is what makes the dough tough and chewy. So if you over knead you are more likely to end up with a tough chewy biscuit. Yes you can! It will give you a bit of tang. I used whole regular milk but you can substitute any milk you have on hand – buttermilk, or low fat milk 1% or 2%. If you don’t have buttermilk, you can make your own buttermilk in a pinch. Can I Use Salted Butter Instead Of Salted Butter? Self rising flour does have salt already in it, so that’s why I chose to use unsalted butter. You can use salted butter if you want, it will just a bit more saltiness to these biscuits which isn’t a bad thing. 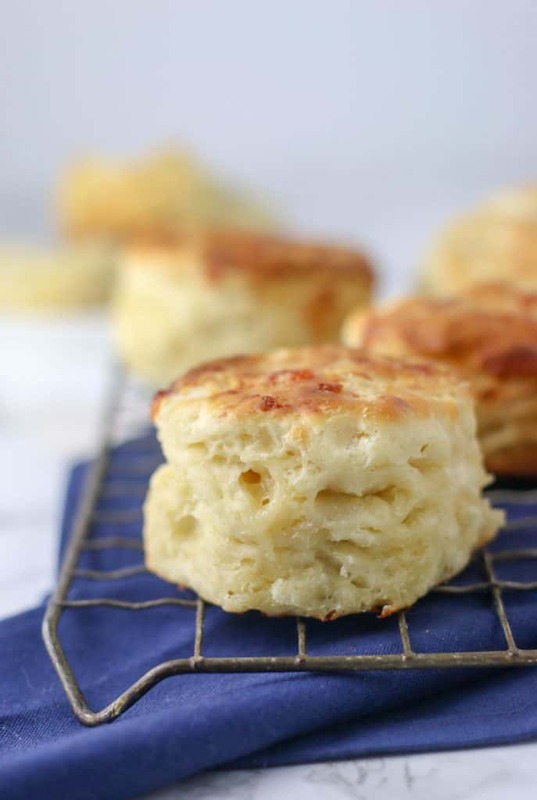 Tall fluffy homemade biscuits with self rising flour…with just 3 ingredients? Oh yes my friend it can happen. 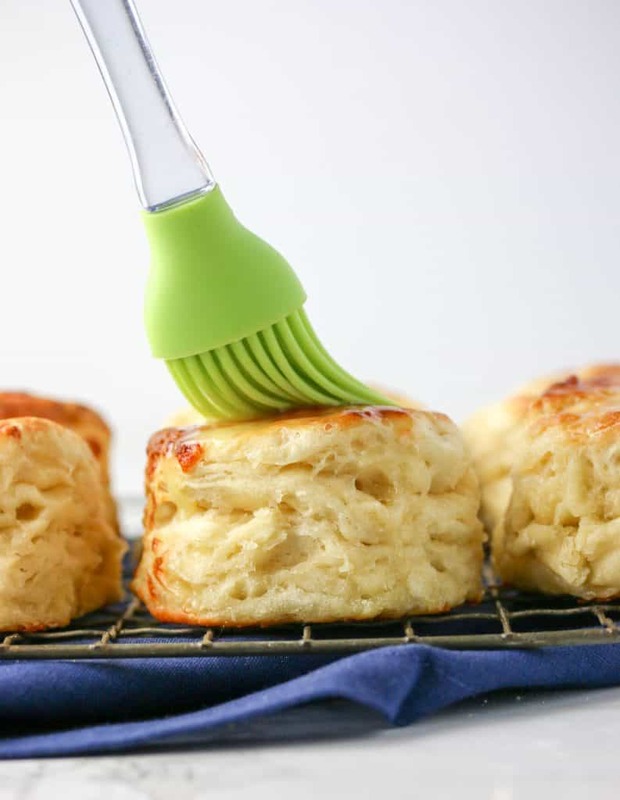 Just 3 Ingredients to make these tall fluffy homemade biscuits! Add cheddar cheese for a 4th tasty optional ingredient! Place flour in large bowl. If you don't have self-rising flour, you could make your own. Just be aware that this may affect the overall texture due to the difference in protein content. Make sure your butter is COLD! 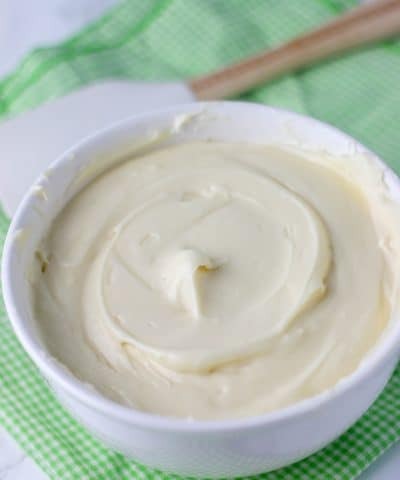 You want cold butter so it doesn't get incorporated into the flour leaving pockets of butter that will melt in the oven and create flaky layers. To cut the biscuits you want to push the biscuit cutter straight down and pick straight up. DO NOT TWIST THE CUTTER. This will create lopsided biscuits. Do not handle the dough too much, especially when using the scraps. For tall fluffy biscuits, place the biscuits together touching on the cookie sheet. For crispier edges, then place them a couple inches apart. Nutrition facts are based on the dough making 8 biscuits (with cheese added). Your recipe says to cut in the shortening. The list of ingredients does not include shortening. Are you referring to the butter? Thank you. Hi Henry! Sorry for the confusion…shortening refers to any fat that’s solid at room temperature (aka the butter in this case). I did use butter, but you could use shortening in this case. I’ll make sure to make this clear in the recipe 🙂 Let me know how it turns out! I agree with you about not needing to sift flour for biscuits. I’m basically a lazy cook, so that works out well for me. LOL. 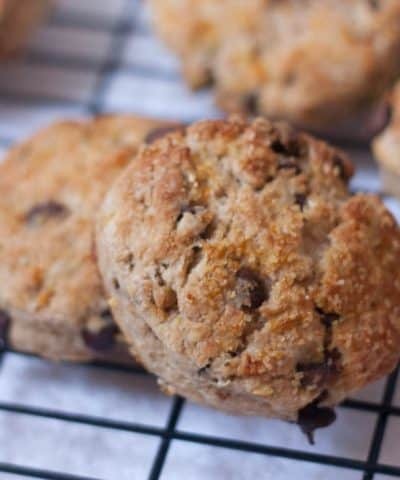 I love biscuits, and I love simple recipes like this one. 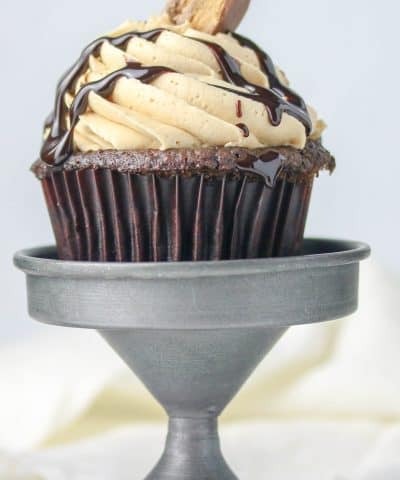 That picture looks so delicious that I’m practically drooling on my keyboard. Just one question–at what point would I add the cheese? Thanks for this great reicpe! I’m so happy to hear that Patti!! These Biscuits look so tasty and delicious and crusty too. Love the cheesy flavor to it. I surely need to try these yummy biscuits. Thanks Veena! And the cheese is optional (or in my case…a total must) let me know how they turn out! 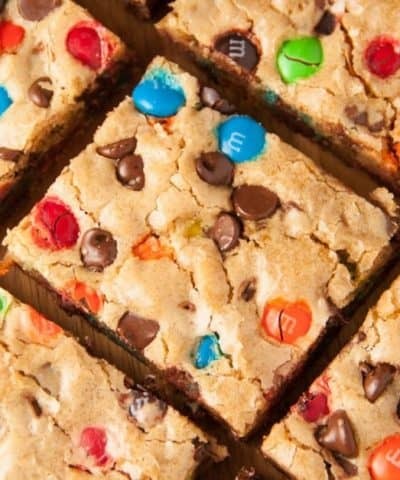 i definitely have to try these. I am motivated to start learning how to make bread products this year! Thanks Danielle! If you’re new to making bread then starting with biscuits is a great place to start..without yeast, it’s a bit more forgivable! I love how easy these self-rising biscuits are! Makes for a delicious yet low-key weekend brunch. These will definitely have to make an appearance at Easter brunch next weekend. Thanks for sharing! Wow, these biscuits are gamechanger! I love a good biscuit like this especially when they’re freshly baked. 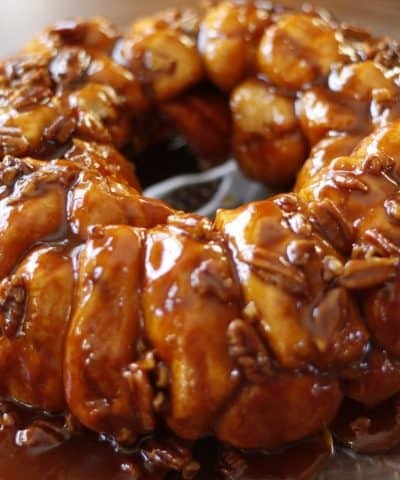 Perfect to go with my Easter brunch! Thanks Linda! 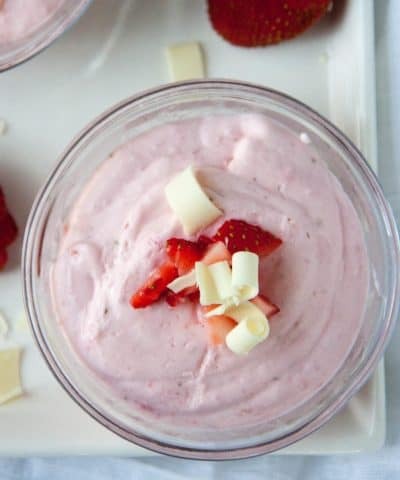 Yes they would be perfect for Easter brunch!! Cheddar cheese means I cannot resist the call of these biscuits. 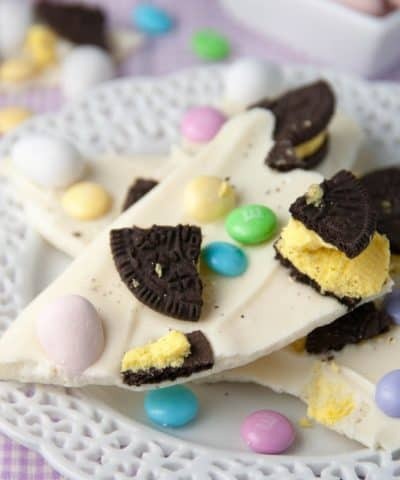 Adding this to my Easter menu. Thanks! Never thought of making my own self rising flour! 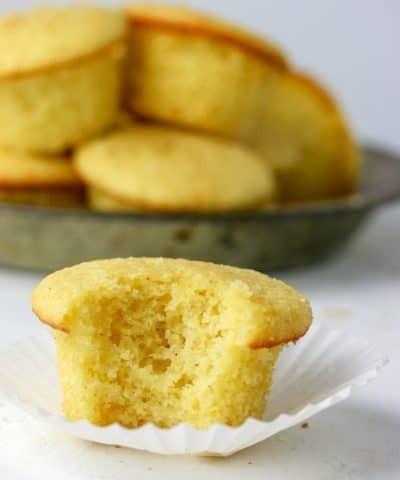 Love the tips you included here, now i really want to try and make my own self rising flour so i can make these for easter! It’s definitely easy to do! The texture won’t be quite the same as storebought but still super easy to do if you don’t want to make a trip to the store! Oh canned biscuits have nothing on these Karyl! 🙂 And yes there is nothing better than butter! I love all your step by step photos! Its so good for reference when you’re making the recipe. I love the simple ingredients, too. Thank you Lauren! I’ve been adding in more and more step by step photos – I figure it’s super helpful when baking! And you can’t beat the simplicity! Enjoy! I’ve never used self-rising flour before (like you, I always figured it was just a useless shortcut) but I never thought about a difference in the protein content. I guess I need to pick up a bag and play around with it now!